Even though I don't eat beets, I'm loving this picture.You make beets look beautiful. 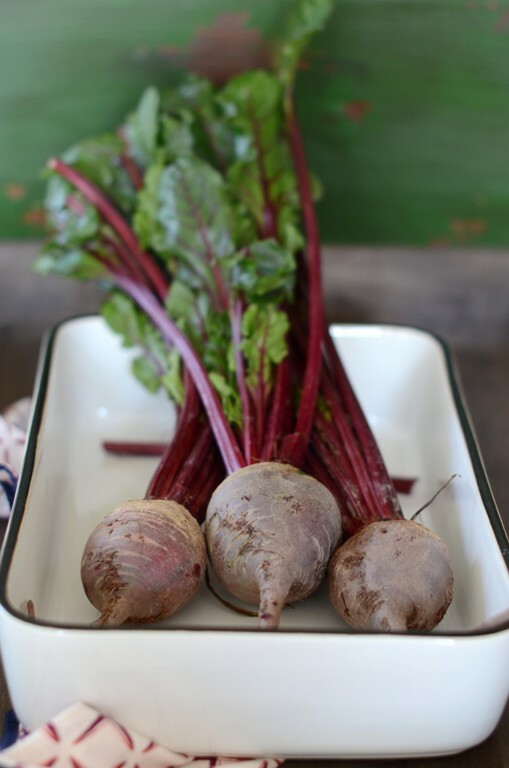 Beautiful beets and great shot! Definitely one of my favorites to grow and EAT! Love the greens braised and stir-fried! What a treat for the senses (your photography). Oh, I am so happy I am "out and about" and made it here! Feels like home =). Lovely, Shulie! Beets are so underrated - can't wait to get ours going in the garden! It's funny to see these beets here. I am usually not a big fan, but recently I've been craving them. Why would that be? Great pic! Yowza! This looks so beautiful! Nice work, Shulie!